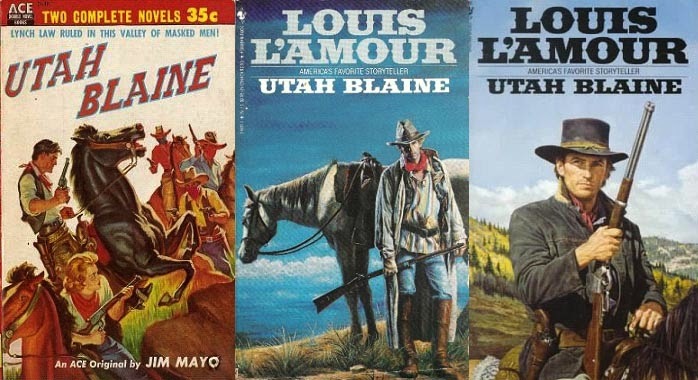 Utah Blaine is the second of three Louis L’Amour novels published by Ace. It was originally published as by Jim Mayo and made its debut as one half of an Ace Double (D-48) in 1954. 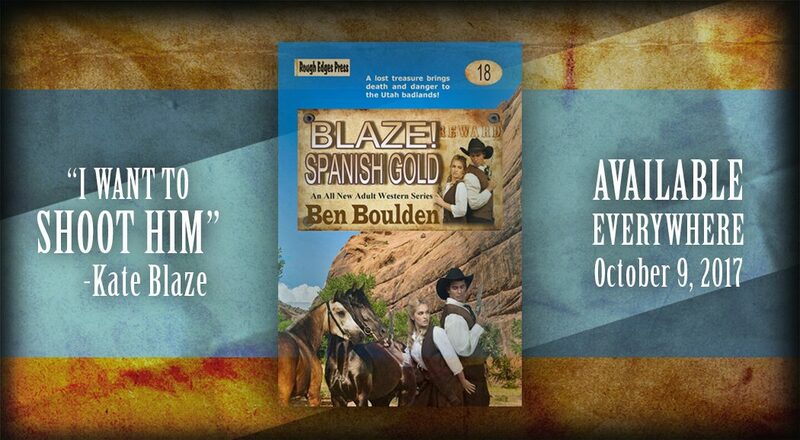 The artwork of the original paperback isn’t bad, but getting a copy could set your retirement back. The edition that caught my eye was an early 1970s Ace reprint. It has an alarmingly orange cover—something close to post-apocalyptic as it seems to devour the town in the background—a gunman on an angry horse firing at someone offstage. It appears there is something close to artillery kicking up dirt geysers (actually rifle slug impacts, I’m sure). It is a scene straight from a comic book, and I love it. The artist is uncredited. I read this title as a teenager and I can barely remember the plot, but I do remember I enjoyed it. I know the edition I read was issued by Bantam in the 1980s. 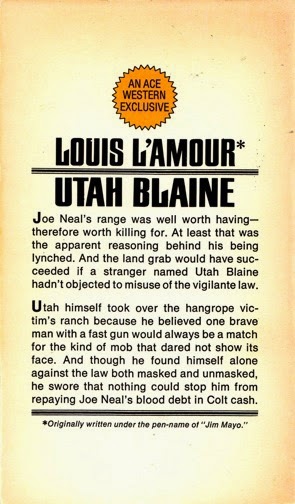 The thing I really like about this old Ace paperback. 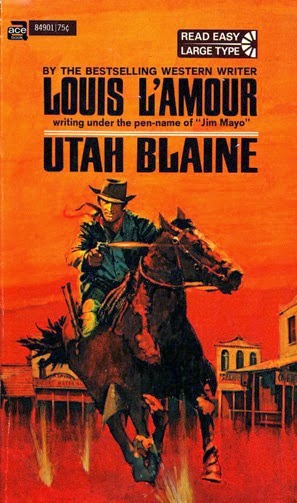 It informs the customer it is Louis L’Amour “writing under the pen-name ‘Jim Mayo’”. This is the fourth in a new series of posts featuring cover and miscellany of books I find at thrift stores and used bookshops. It is reserved for books I purchased as much for the cover art as for the story or the author. Nick Glass is a rookie prison guard in a Scottish prison. He has been on the job six weeks with mixed results—the other guards mock and make trouble for him and the inmates don’t respect him. At home he has a five-year old daughter and wife. His wife tends to drink too much, and is just on the backside of an affair. To say Nick has a little stress is an understatement. The novel opens with Glass in the office of the prison psychiatrist. It is a mandatory visit and Nick is less than pleased to be there. The psychiatrist is an instrument Mr Guthrie uses to foreshadow and then define the undoing of Nick. He is a skewed sentiment of sanity in a dark and insane world. A world that envelopes Nick and threatens to destroy him. And Nick is the perfect object—he is prone to fantasy, and as the novel progresses, he begins to mistake his fantasy for reality. It is a trip into hell. A trip the reader knows is coming with each progressive sentence, paragraph and page, but is helpless to stop. 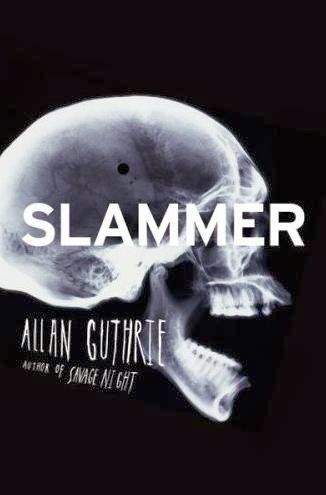 Slammer is a wonderfully executed novel. It is reminiscent of Guthrie’s first novel Two-Way Split, but its execution is better (amazingly). It is short, 263 pages, but it does not lack meaning or story. 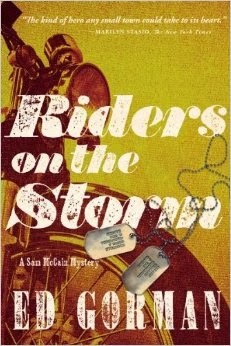 The prose is hardboiled, lean and smart. 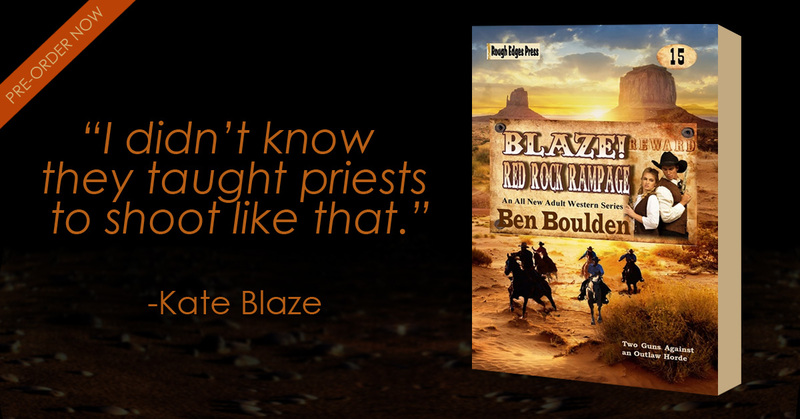 The dialogue is crisp, and the atmosphere is weighty and oppressive. It is a fine example of the new noir: a hopeless, distraught and shameless (in a good way) vision of the human condition. This is an encore post. It originally went live on November 23,2009. 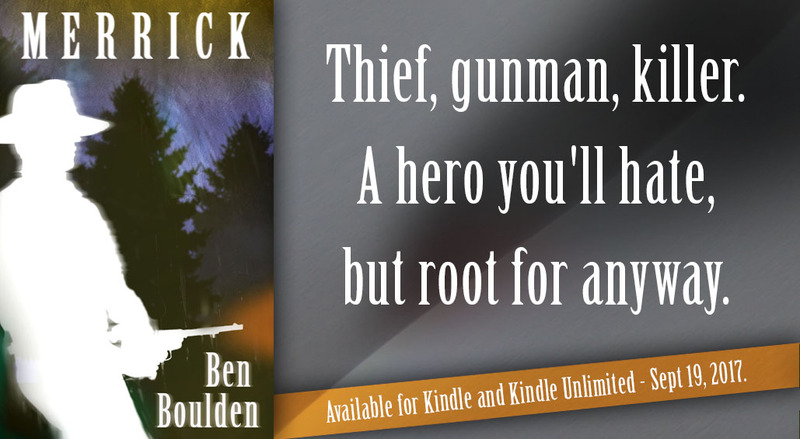 “Veteran Steve Donovan brutally belittles and finally savagely beats his old friend Will Cullen when Cullen announces he's joined the anti-war group.